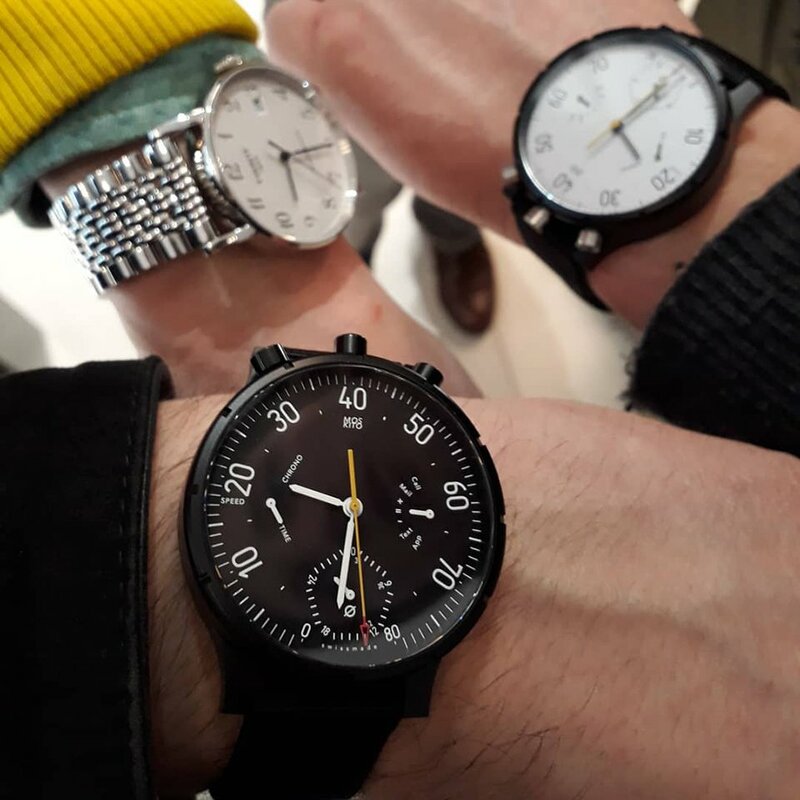 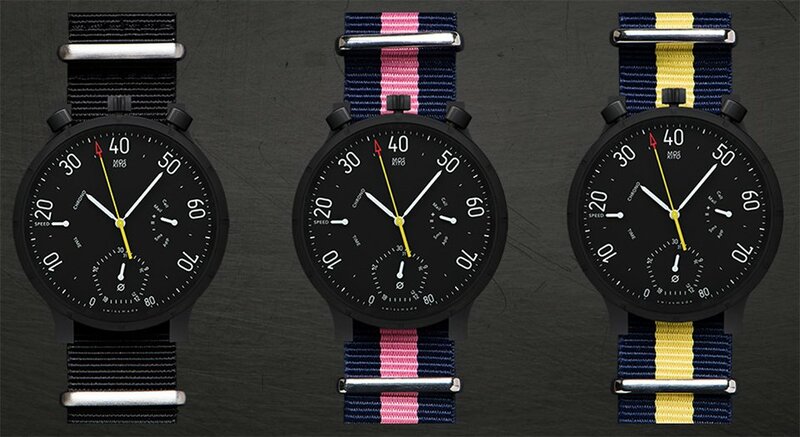 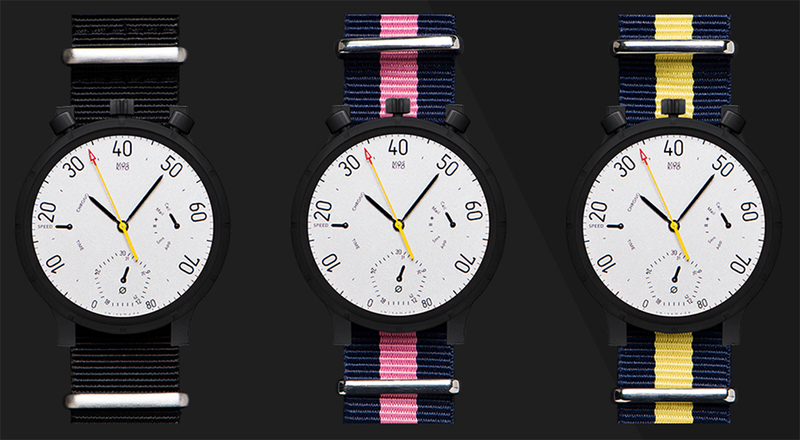 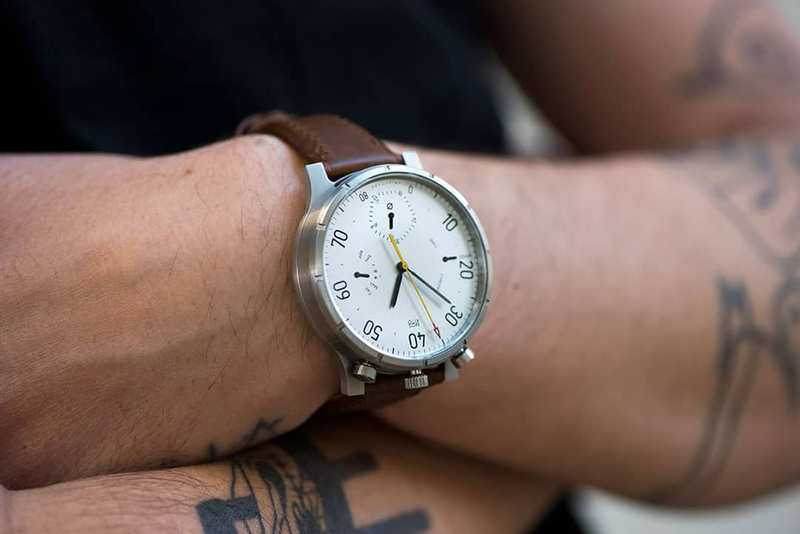 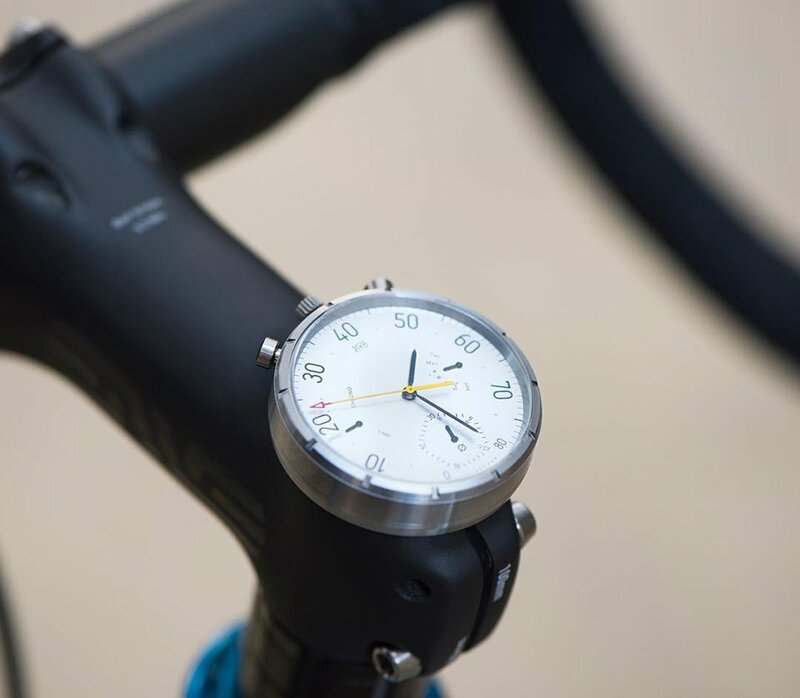 The Moskito watch has a speedometer mode, where its second hand displays your speed while the minute hand shows the distance you’ve covered. 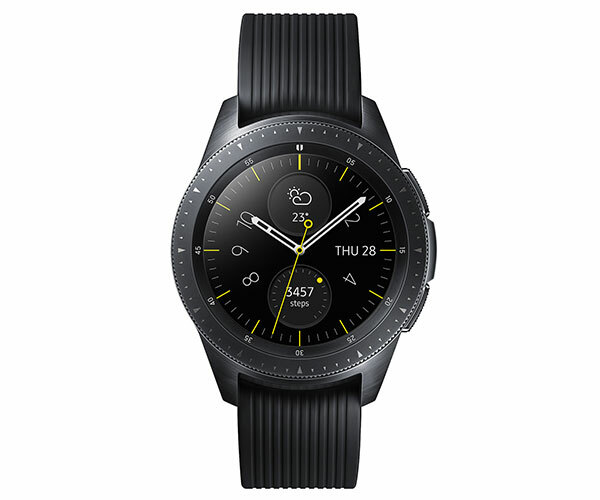 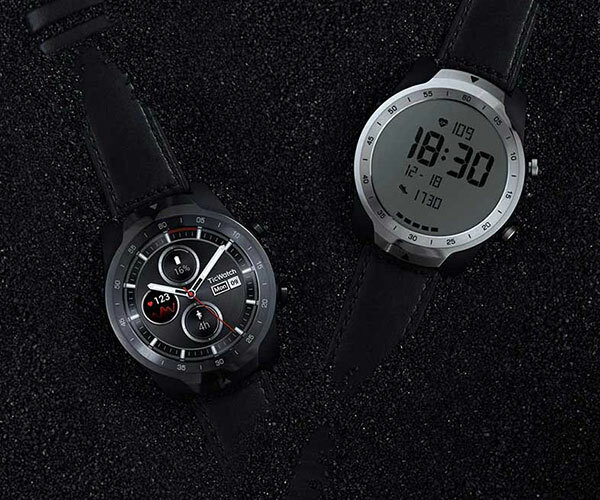 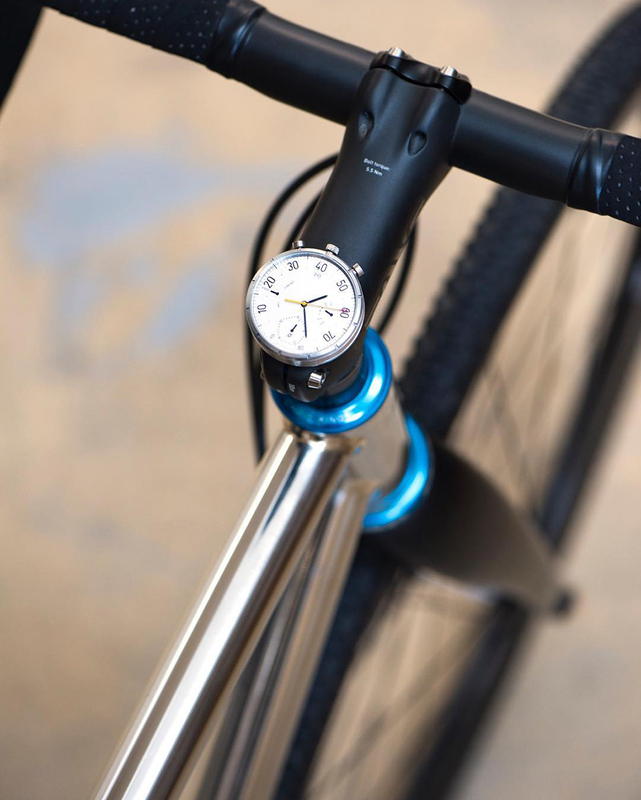 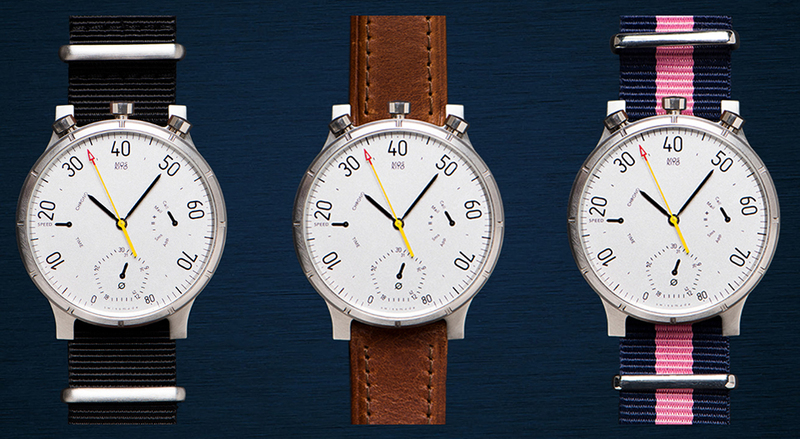 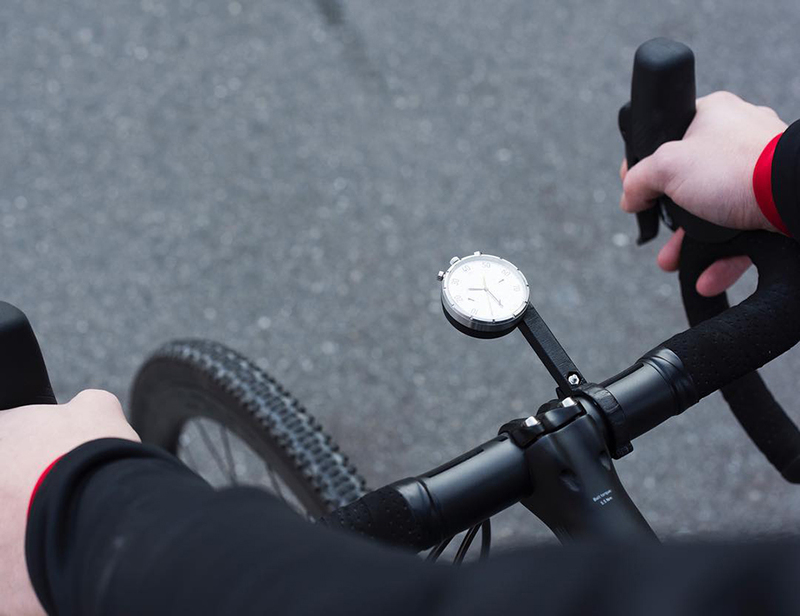 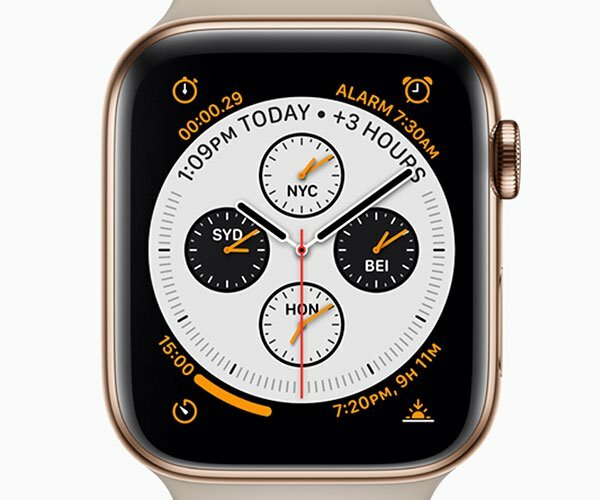 You can also get optional bicycle mounts for the watch. 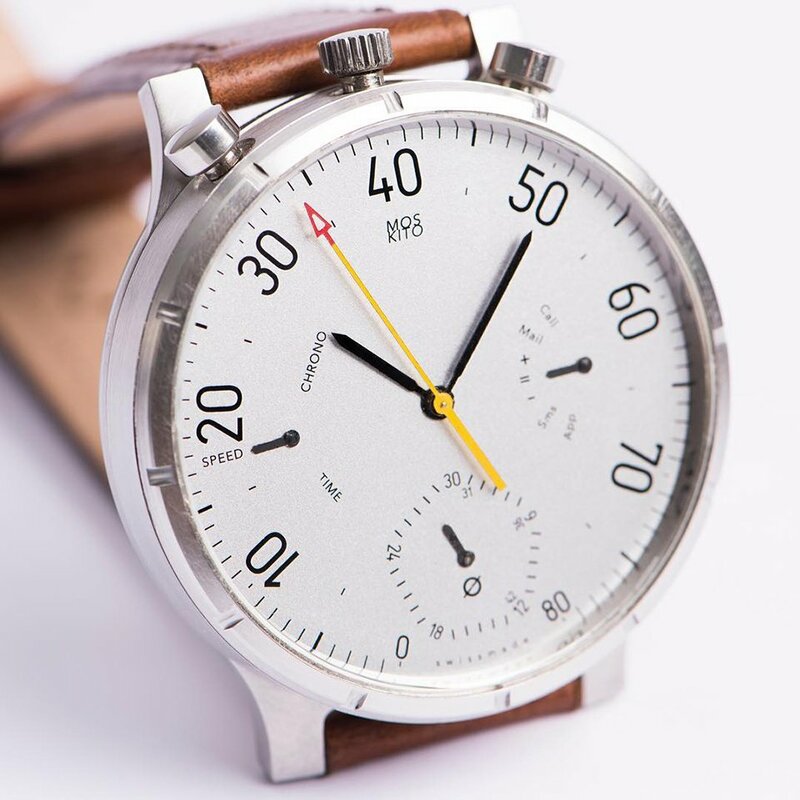 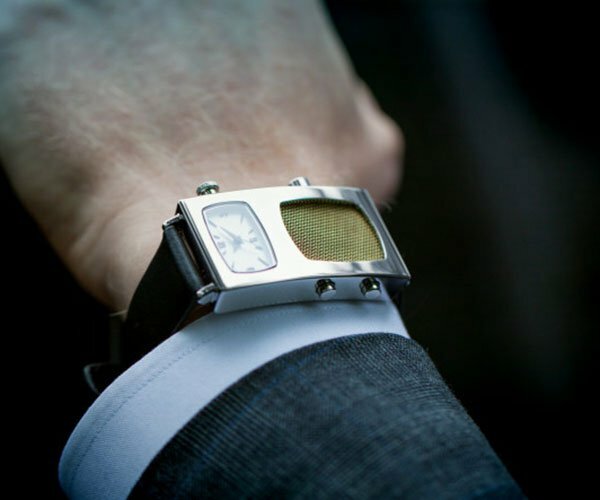 It has a quartz movement and lasts up to 2 years per charge.